Especially characteristic of rich hemlock-hardwoods, but also in various sorts of deciduous, mixed, and coniferous forests, even on hummocks in cedar swamps. In the broad sense this is a circumpolar species. 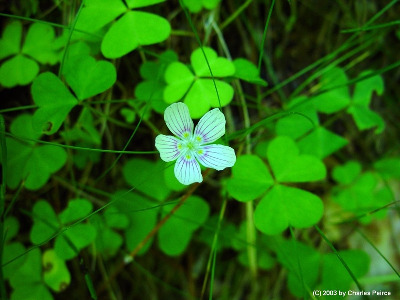 North American plants have been called subsp. montana (Raf.) D. Löve or O. montana Raf. The attractive flowers are distylous, with the style either exceeding the anthers or slightly shorter. MICHIGAN FLORA ONLINE. A. A. Reznicek, E. G. Voss, & B. S. Walters. February 2011. University of Michigan. Web. 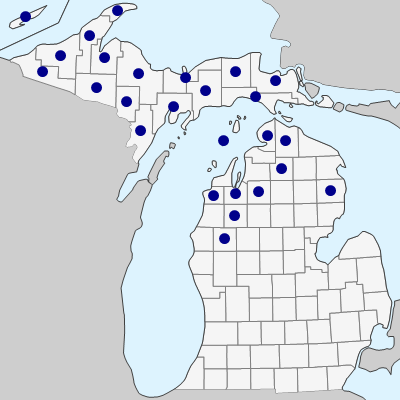 April 21, 2019. https://michiganflora.net/species.aspx?id=1877.